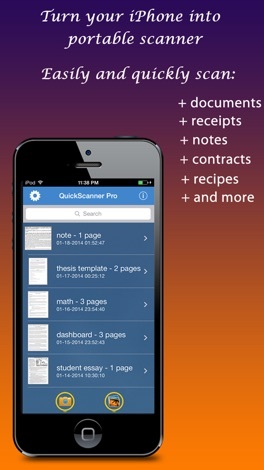 Quick Scanner turns your iPhone into a portable multiple pages scanner for documents, receipts, notes, whiteboards, and other text. 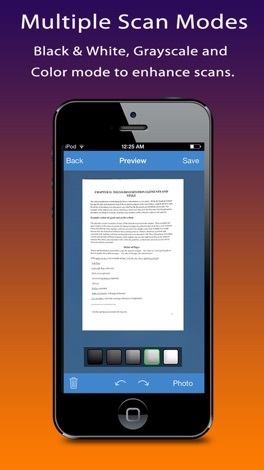 With Quick Scanner, you can quickly scan your documents and print or email them as multiple pages PDF or JPEG files. Quick Scanner is developed with smart artificial intelligent algorithm for correct page and edge detection, perspective correction, multiple image post-processing options. 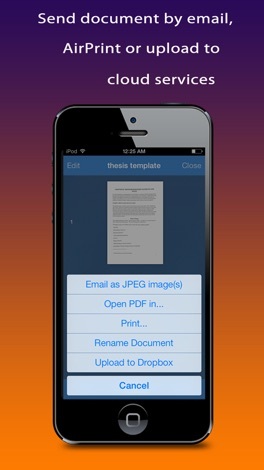 It allows you to build PDF documents with multiple scans quickly and easily. 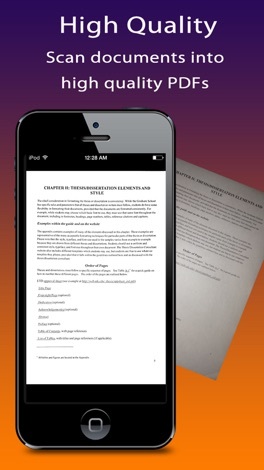 Quick Scanner scans any type of documents, ranging from a receipt to multi pages documents to full book.